Here is our promotional video for our Concert for Conservation on the 23rd February, 2019. Here we are singing at our Easter Concert 2018 raising money for Peace Direct. The feature piece was The Armed Man by Karl Jenkins and this video shows us singing an extract from the first movement. 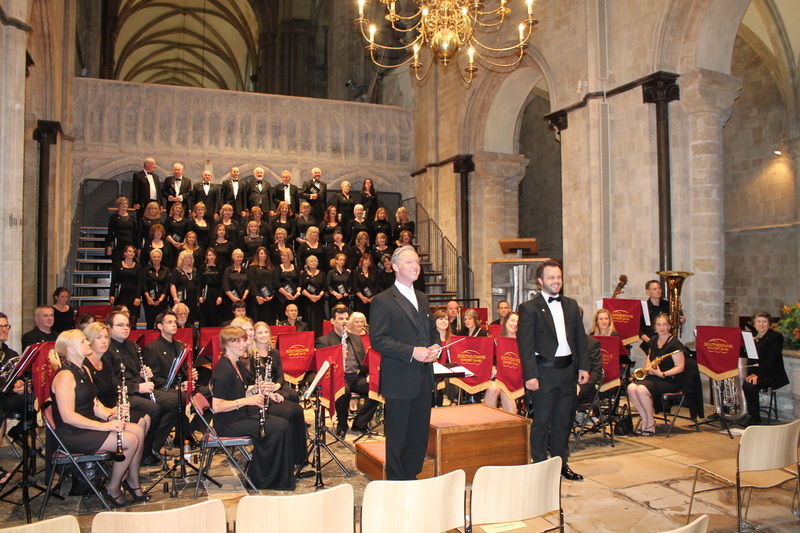 in Chichester Cathedral with Southdowns Concert Band, an opening event of the year's Festival of Chichester . Here are photos of our performance and a video of us performing O Magnum Mysterium by Morten Lauridsen. Our Promotional Video is launched! Special thanks to our Bass, Barry who organised this and was our tour guide! Check out our press release for our Spring Concert in April 2015.